On March 5th, the Mexican Center for Environmental Law (CEMDA in its Spanish a acronym) publicly presented its “Annual Report on the Situation of Defenders of Environmental Human Rights in Mexico, 2017”. In it, it denounced the increase in attacks and the “absence to date of an integral and effective preventive protection on the part of the Mexican State, which has been indicated as the main generator of the attacks against the defenders” (with 36% of the attacks). The same organization reported that from 2010 to 2017, there have been 391 cases of assaults. The report documents that in the period from July 2016 to December 2017, there were 88 cases of attacks against human rights defenders in Mexico. It highlights the increase in the number of homicides that in this period reached 29, in comparison with the previous period, where only one murder was recorded. The state that continues with the highest numbers of attacks is the State of Mexico followed by Oaxaca, Puebla, Chiapas and Sonora. The projects or activities most frequently related to the attacks are the dispossession of land/territory and mining, both with 17 cases. Next are infrastructure projects (14 cases), hydroelectric projects (eight cases); those of public works and/or public policies in water administration (seven cases); real estate projects (five cases); renewable energy (four cases); sowing of GMOs (four cases) and illegal logging (three cases). On 27 and 28 November was held in San Cristóbal de Las Casas, Chiapas the Forum “20 years Accompanying Lights of Hope” to celebrate the twentieth anniversary of the International Service for Peace (SIPAZ). Those participating in the event included women and men from communities, organizations, human-rights centers, the academy, as well as activists, both from Mexico and other countries. By means of panels, the invited speakers shared reflections regarding their experiences, situating them also within an historical analysis incorporating the principal tendencies, challenges, and obstacles. The event stressed concern for the present situation in the country, given that participants agreed that we are in a war situation. Two media based in the lessons learned through SIPAZ’s years of work in Mexico were presented at the event. One was a documentary, entitled “That the Heart Not Break. Non-Violent Struggles for Justice and Defense of Land,” produced in collaboration with the Koman Ilel community media collective. The video was presented with the participation of the involved communities and organizations: communities displaced below Tila and the Las Abejas Civil Society, based in Chiapas, along with the Council of Peoples United in Defense of the Green River (COPUDEVER), from Oaxaca. In parallel, the book Struggle with a Woman’s Heart: The Situation and Participation of Women in Chiapas (1995-2015), was presented and discussed. This volume brings together the major experiences and lessons from women’s struggle to participate and for gender equality. 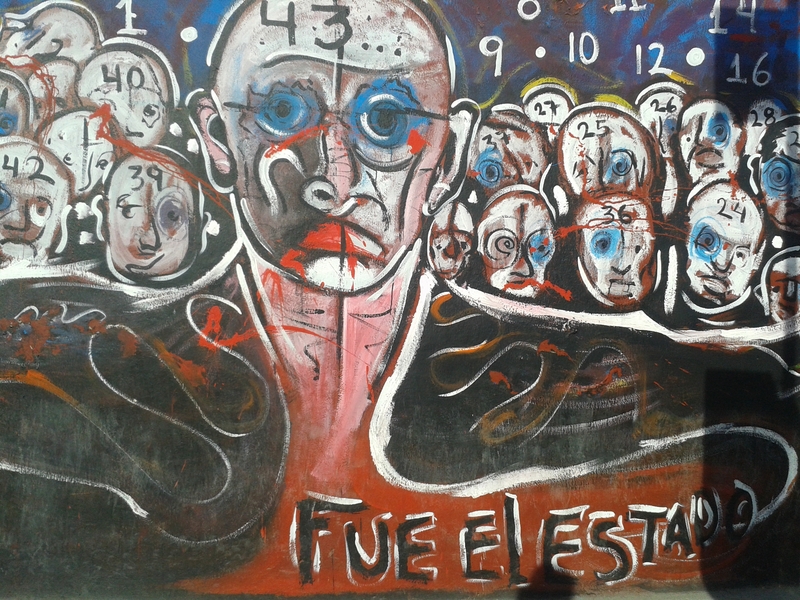 The first report from the Interdisciplinary Group of Independent Experts (GIEI), a branch of the Inter-American Commission on Human Rights (IACHR), indicates that the forcible disappearance of the 43 students on 26 and 27 September 2014 in Iguala amounts to a crime against humanity. The families of the youth and the organizations which accompany them welcomed this first conclusion from the GIEI. They expressed that the primary recommendations, which call on the Mexican State to treat the case as a forcible disappearance, gives the hope that justice and truth will soon prevail. Among the requests made by the Group, stress is placed on gaining access to a digital copy of the evidence that is available to the Federal Attorney General’s Office (PGR), treating the case as a forcible disappearance, establishing a mechanism of medical attention for the relatives in the region, and urgently providing the comatose student Aldo Gutiérrez with a second neurological evaluation, beyond protecting the evidence that exists and continuing with the searches. On 23 March, relatives of the students and representatives of civil organizations announced that the Mexican government lied to the IACHR during the audience on “Denunciations of forcible disappearance and impunity in Mexico.” Manuel Olivares, director of the “José María Morelos y Pavón” Center for Human Rights, located in Chilapa, Guerrero, denounced that, contrary to what the State officials said, there existed no search protocol in the Ayotzinapa case, and that the demand for the presentation with live of the students has not been met, either. “The response from the State is highly inadequate,” he concluded. In other news, the report indicates that two units from the Reaction Force of the 27th Infantry Batallion, based in Iguala, were patrolling the streets from 11pm on 26 September until 6am the next day. The soldiers saw the dead, invaded the hospitals in which the injured were found, and were fully knowledgeable of the gunfire and attacks. On 27 September, the students were looking for their disappeared comrades in the streets, while others made reports to the Ministry of the Interior, but the report from the patrols provided by the 27th Batallion that day claims it to have been a day “without news.” This information is contained within one of the documents provided to Proceso by the Secretary for National Defesne (SEDENA) in accordance with the Law on Transparency. 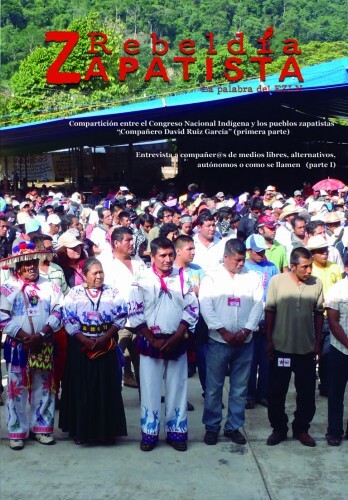 This document, published in May 2014, seeks to contribute to the “recognition and implementation of a psychosocial focus in our region of Central America and Mexico, for migrants themselves, their families, and local communities as well as the organizations that work daily to defend their rights.” The guide covers four themes: communities of origin, especially with regards to women; relatives of the disappeared; migrants homes; and teams that work with migrants.